MANILA – Malacañang is focused on resolving inflation and high prices, and is not “obsessed” over the voiding of Senator Antonio Trillanes IV’s amnesty. Presidential Spokesperson Harry Roque on Wednesday was reacting to critics’ claims that there were more pressing matters to prioritize over Trillanes, a staunch critic of President Rodrigo Duterte. 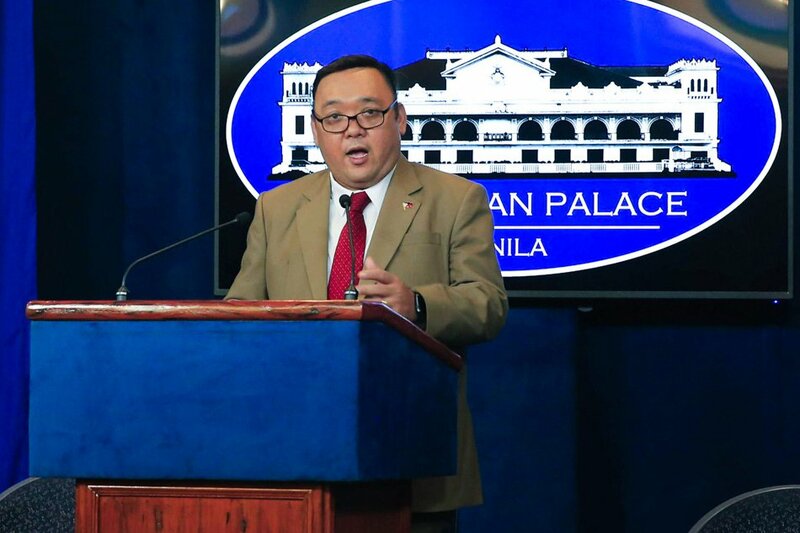 Roque denied that the President is obsessed with Trillanes, saying it is the job of the Office of the Solicitor General (SolGen) and court judges to pursue Trillanes’ case. “Ang mga nakatutok lang naman kay Trillanes ay mga piskal; hindi po iyan tinututukan ng Palasyo. Ang tutok po talaga namin iyong inflation (It’s the judges who are focused on Trillanes, not the Palace. What we are focused on is inflation),” Roque said in an interview over DZMM. “Ina-assure ko po sa inyo: hindi po obsessed ang Presidente kay Trillanes, mga abogado lang po ang nag-aasikaso niyan at iyan naman talaga ay trabaho ng mga piskal at ng SolGen. Pero kami po nakatutok doon sa problema ng bayan (I assure you that the President is not obsessed with Trillanes. It’s the lawyers handling that and that’s the work of judges and the SolGen. We are focused on the country’s problems),” he added. Roque said it is the decision of the Makati Regional Trial Court (RTC) Branch 150 to issue an arrest warrant and hold departure order against the former Navy officer. It was the Supreme Court (SC) that turned down his request for a temporary restraining order, he said. According to Roque, it is unfair to claim that inflation is not being addressed since Duterte’s economic team has already come up with solutions through several issuances. “Sino ang nagsabing hindi hinaharap ang problema ng pagtaas ng bilihin, eh kahapon nga lang po inanunsyo ko iyong apat na mga executive issuances na nagnanais nga na talagang mapabilis iyong pagdating sa merkado ng mga inaangkat na mga bagay-bagay, lalo na iyong pagkain (Who says we’re not solving the problems on high prices? Just yesterday, we announced four executive issuances that seek to fast-track the arrival of imported products in the market),” he said. On Tuesday, Roque announced that Duterte signed an administrative order (AO) removing non-tariff barriers and streamlining administrative procedures on the importation of basic agricultural commodities. Under Administrative Order No. 13 signed last Sept. 21, Duterte emphasized the "urgent need” to control price spikes of basic agricultural products, particularly rice, chicken, pork, and fish. In line with Duterte’s order, Executive Secretary Salvador Medialdea issued Memorandum Order (MO) No. 26 directing the departments of trade and agriculture to adopt measures to reduce the gap between farm-gate and retail prices of agricultural products. Medialdea also issued MO No. 27 directing the Department of Agriculture (DA), Department of the Interior and Local Government and the Metro Manila Development Authority (MMDA) to come up with measures that would ensure efficient and seamless delivery of imported agriculture and fishery products from the ports to the markets. Meanwhile, MO No. 28 directs the NFA to immediately release existing rice stocks in its warehouses, including the 230,000 metric tons (MT) of rice currently stored in its warehouses across the country and 100,000 MT of rice previously contracted to be delivered before the end of the month. “Hindi natutulog sa pansitan ang Presidente. Ginagawa po natin ang lahat at makikita n’yo naman magbubunga po iyan sa lalong mabilis na panahon (The President is not sleeping on the job. We’re doing everything and you will be able to see the results very soon),” he added. On Tuesday, Trillanes went with arresting officers to the Makati Police Station for booking procedures and eventually to the Makati RTC Branch 150 to post a PHP200,000 bail for rebellion charges. This, after Judge Elmo Alameda of Makati RTC Branch 150 issued a warrant of arrest against him for his role in the Manila Peninsula siege in 2007.